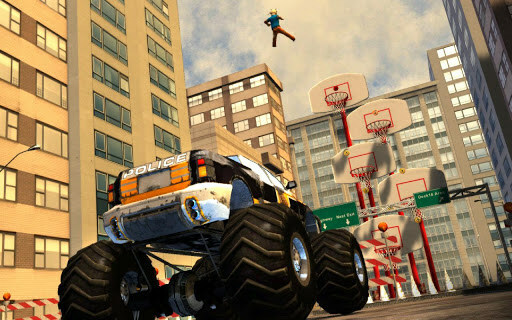 Flatout - Stuntman – Games for Android 2018 – Free download. 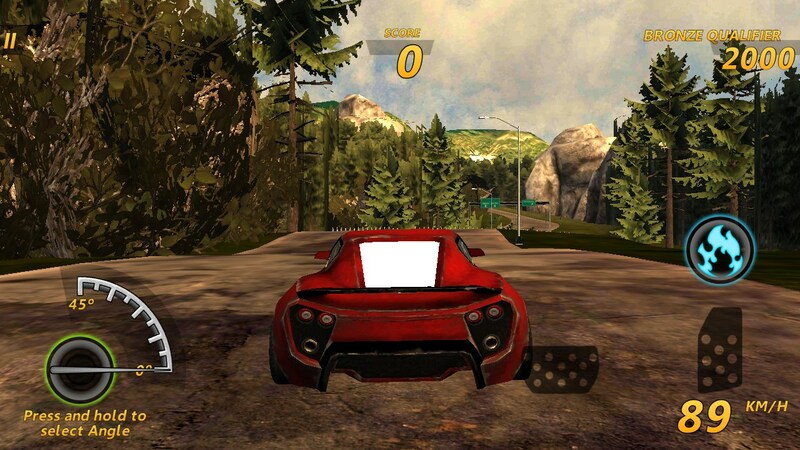 Flatout - Stuntman – Mobile version of the famous game. Flatout - it's crazy famous racing game for Android, which we will not just drive on the roads, and make a mad and deadly tricks. If you do not confuse the job in the spirit "to enter with all speed into the wall," after which a driver without a seat belt off with a bang out of the window and flies a long distance, the game is just right for you. That is, depending on how far the driver flies, we'll get bonus points. Engaged in developing the game studio Team6, and that gave us all the original parts Flatout for PC, as well as dozens of other racing games. 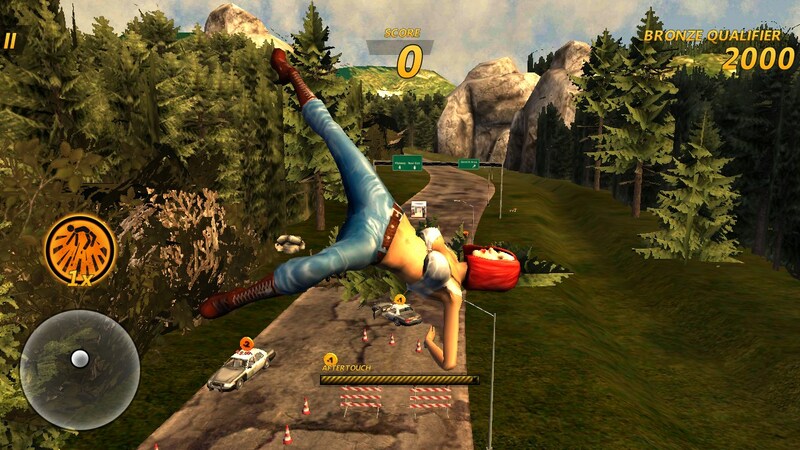 In general, create crazy race - it is in the blood of the developers, and in this case they are true professionals. If you have ever played the original game, it just will recognize the familiar gameplay. Developers do not have to invent something new and offered players a time-tested entertainment. Each card is given to us by one small trial scenario in which we have to do little mini-quests. Control of the game is quite complicated and need to get used to it, but for Flatout is completely natural and has been in all parts of the series. On the right are buttons for gas, brake, and accelerate. On the left is a button that the driver is responsible for the bailout. By pressing this button will move the scale capacity, and as soon as we let go of her, the driver will fly out the window. Control is performed by the vehicle using the accelerometer. All in the game 42 episodes and 7 unique scenarios. As a driver, you can choose a beautiful model, a bad girl, a simple mechanic or fat guy, a total of 20 different characters. We will perform tricks for 25 cars, which, unfortunately, is not licensed as manufacturers would never allow so brutally smash their cars. Additional visual effects for the owners of Tegra 3 processor. The game is distributed for free, but can not play at all levels. To open a new test shall take place prior to the maximum number of points. Fortunately, the developers are not too greedy in terms of money. And you may like to make small in-game purchase, and immediately open all content for $ 7, which is quite a bit, given the high quality of the game itself. Summary. Flatout: Stuntman - this is a crazy racing game for Android, which first of all like fans of the original series, as well as those who simply loves arcade racing and normally refers to increased violence.